Ideal to use as a literacy activity or as a homework task before going on a picnic. What would come next? 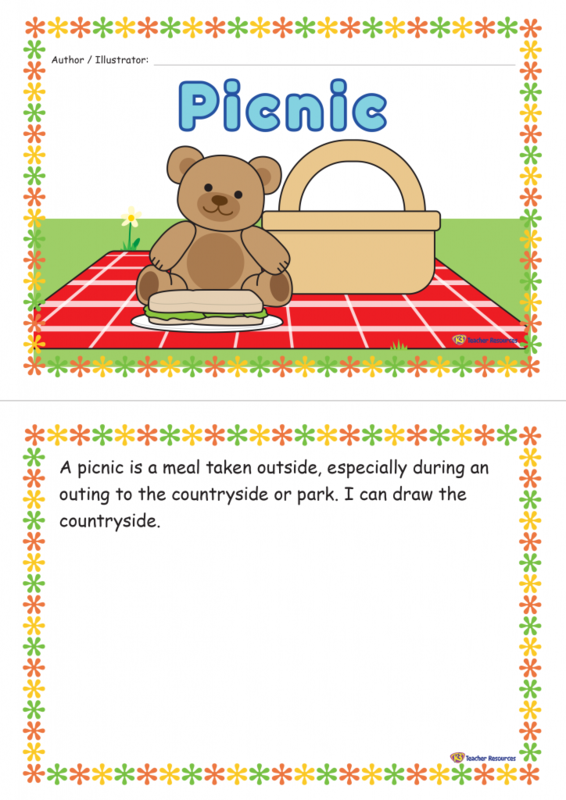 – Use the last page of the booklet as an opportunity for the children to write their own picnic related sentence and represent it with a drawing.